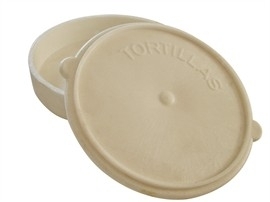 Great for keeping corn tortillas and 6" flour tortillas warm at the dinner table. Microwave safe. Fits about 10 6-inch tortillas. 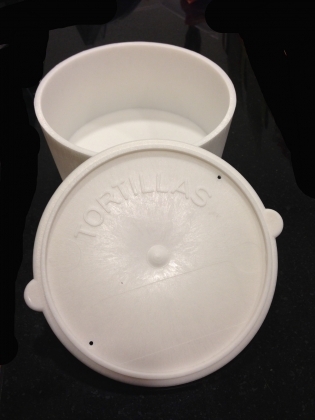 Great for keeping tortillas warm for the whole family. Microwave safe. Fits about 40 6-inch tortillas.